Religious buildings are constructed as a refuge for prayer and contemplation, but on a more basic level the buildings themselves do a lot to add character to a town. Many established towns and cities across the world, regardless of their populations and pushes to construct buildings to modern standards and trends, preserve these churches and other buildings as part of its heritage. 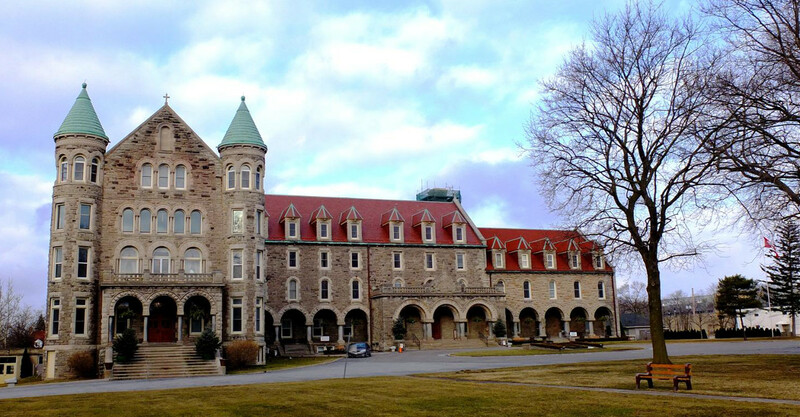 The Mount Carmel Spiritual Centre is young as classical churches go, being built in 1894, but that still makes it one of the oldest buildings in modern Niagara Falls. And it’s a building worth visiting, for those that are interested in seeing classic architecture. It’s also still in a central location within the heart of the town, along Stanley Avenue only a light stroll away from the Marriott Fallsview Hotel & Spa and the Scotiabank Convention Centre. This monastery is the local home of the Carmelites, an 800 year old branch of Roman Catholicism that keeps a heavy focus on community service. There are Carmelite centres all over the world, many of them with a rich history. The building was originally a small chapel later extended to become a seminary and epicentre of Carmelite activity in Ontario. Inside the main church are the stained glass features and sculptures, much of which is original to the earth 20th century architecture. A side altar is dedicated as the national Carmelite shrine to Saint Therese, a 19th century Carmelite nun who is now one of the most venerated saints in Christendom. Over the past century the Spiritual Centre has grown, and now covers grounds of 10 acres in total. The gardens have won many local awards, combining manicured flower arrangements with open tree-lined grounds. The programs and services are extensive, with community workshops and presentations on regular rotation. Rooms in the monastery are rented to anyone wanting a spiritual retreat and the building is regularly open to walk-ins and open-invitation events. Even for non-Carmelites, or even non-Christians, the Spiritual Centre and its grounds are an impressive piece of architecture and landscaping. Its proximity to major strips like Fallsview Boulevard means that for anyone interested in buildings of this character and design, there’s no excuse not to at least have a look and soak up the atmosphere.